On March 11, about a half-hour after sunset, the International Space Station made a five-minute flyover of the Space Coast. I kind of forgot about the spectacle until it was too late to set up for a decent photo. 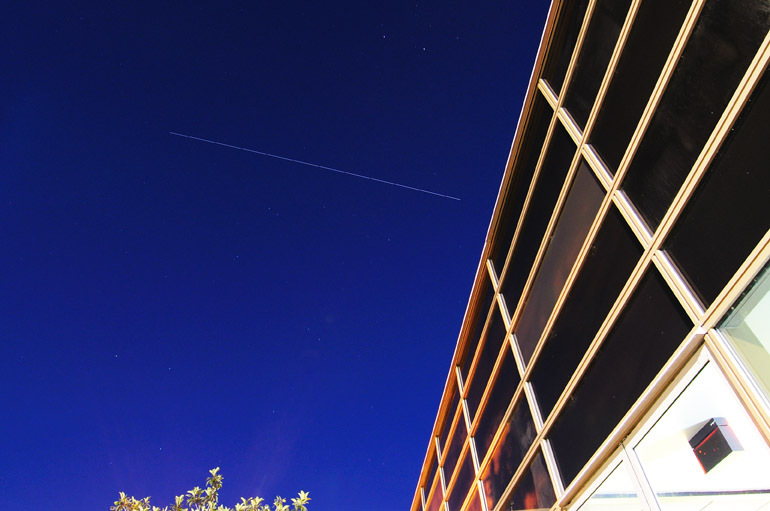 Instead, I walked out of my employer's building in Melbourne and made this 33-second exposure as the station made its pass.